The Yamaha YZF-R15 Version 3.0 now gets equipped with dual-channel ABS. 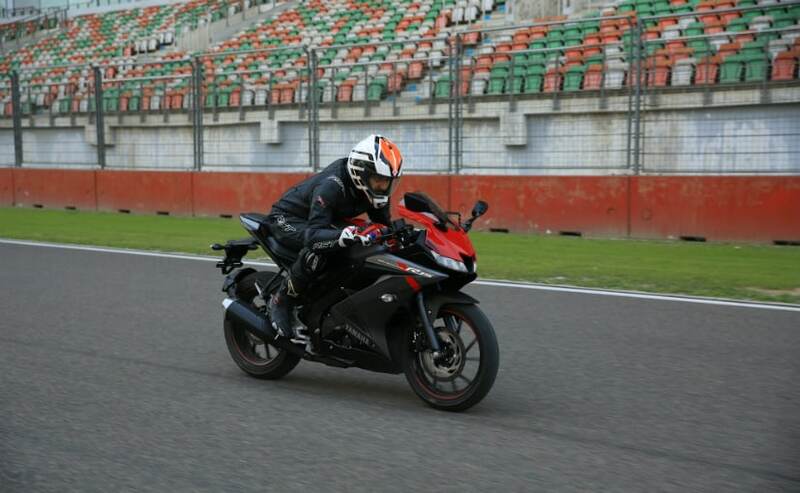 Although nothing else has changed on the bike mechanically, we spent some time riding the new R15 ABS variant at the Buddh International Circuit to see if it still makes any sense to consider it. Yamaha has just introduced the smallest model in the MT series, the new Yamaha MT-15 in India at a price of ₹ 1.36 lakh (ex-showroom). At just ₹ 3,000 more, you get the popular, full-faired, entry-level sportbike, the Yamaha YZF-R15 Version 3.0, which gets dual-channel ABS, unlike the MT-15, which only gets single-channel ABS. 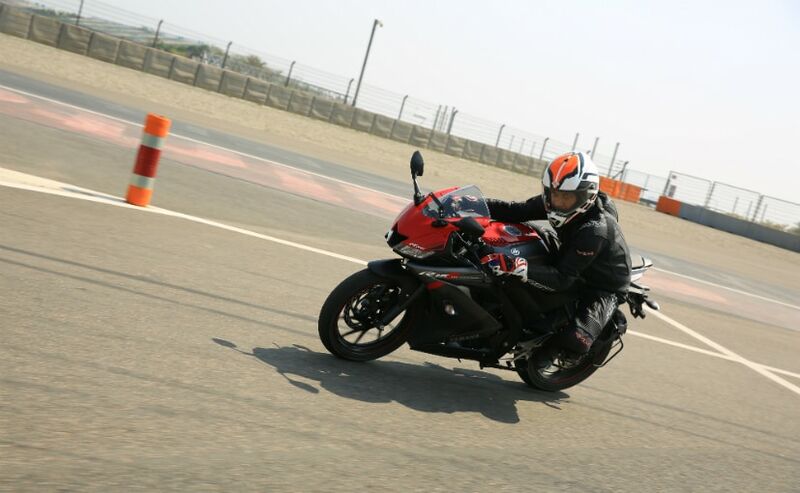 At the launch of the MT-15, we also got to spend some time riding the R15 Version 3.0 with ABS. The Yamaha YZF-R15 has been a consistent sales performer for India Yamaha, and with standard dual-channel ABS now, it's still a very good option, if you're looking for a beginner's sportbike. But how good is good enough? 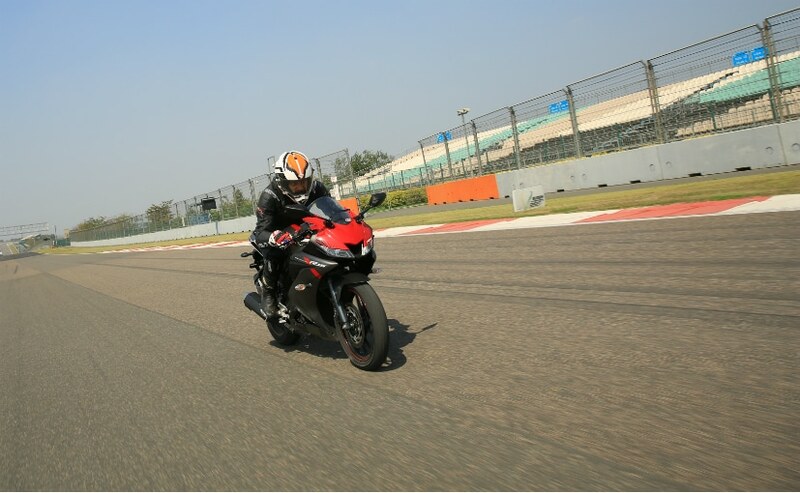 That's what we tried to figure as we spent some time again riding the R15 V3.0 ABS on a racetrack, but this time, at the Buddh International Circuit (BIC). The new generation R15 got significantly updated last year, with some cosmetic changes, and more importantly, with a bigger, and more powerful engine, updated chassis, new swingarm and different steering geometry. With styling inspired by the bigger, litre-class Yamaha YZF-R1, the R15 Version 3.0 does look sharper than before, with LED lighting, and an easy to read, full-digital, multi-functional instrument panel. But what it now gets is dual-channel ABS, which certainly improves the R15's stopping power. 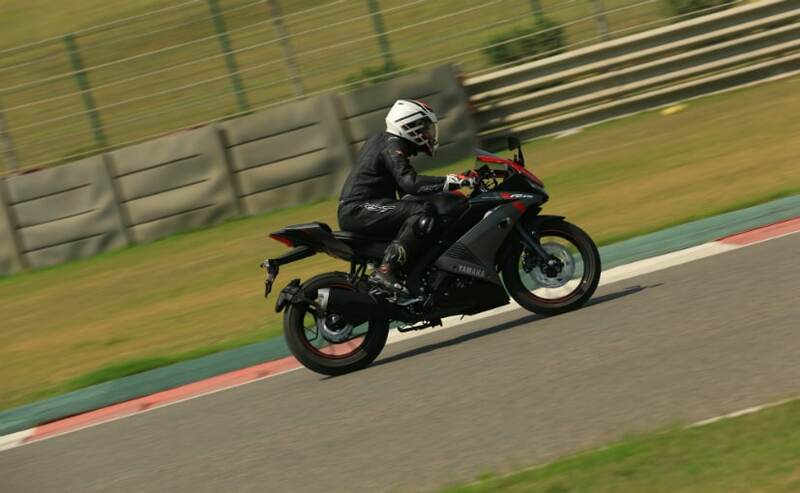 On the move, the R15's engine has enough performance to hit over 135 kmph on the backstraight of the BIC. The 155 cc, single-cylinder, liquid-cooled engine also gets variable valve actuation, which in plainspeak provides a wider torque spread over the rev range. Granted, the power and torque figures aren't anything to go ga-ga over, but 19 bhp at 10,000 rpm and 15 Nm at 8,500 rpm makes the engine feel lively and loves to be revved, right up to the limit. The gearbox is precise and slick, the slipper assisted clutch provide a light feel on the lever, which will definitely be welcome in stop-go conditions while riding in the city. But what is impressive is the superb handling that the R15 still provides, around corners and very good straight line stability. Thanks to the introduction of ABS, hard braking is without drama, and the R15 sheds triple digit speeds quite easily, and quickly. There are more than one reasons why the Yamaha YZF-R15 is popular. Big, sportbike looks, a smooth and tractable engine with a decent top end to go chasing the horizon, and lovely road manners, are what still makes the R15 a very attractive, and compelling beginner's sportbike this side of ₹ 1.5 lakh. It's not very powerful to be intimidating, but has the performance which will be welcomed by riders upgrading from smaller bikes, or even as a first-bike. For newbie sport riders, the R15 still is a package which is difficult to resist, and it can do the daily commute with ease, take on the occasional long distance ride covering hundreds of kilometres in a day, and make track riding easy and accessible with its limited performance. Priced at ₹ 1.39 lakh (ex-showroom) for the ABS variant, it's easy to see why the R15 V3.0 will continue to be as popular as ever, and may not have any real competition, even from its newer, and sharper looking naked sibling, the MT-15.